Is it reasonable to have faith in God? Can intelligent, educated people really believe what the Bible says? Or do the atheists have it right—has Christianity been disproven by science and discredited as a guide to morality? 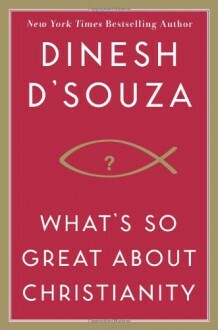 Best-selling author Dinesh D'Souza (The Enemy at Home; What's So Great about America) responds head-on to the anti-God arguments of prominent atheists such as Richard Dawkins, Sam Harris, and Christopher Hitchens and defeats them on their own terms. What's So Great about Christianity provides believers with a straightforward tool kit for meeting the challenge of modern atheism and secularism; for nonbelievers, it offers a compelling apologetic that will challenge their assumptions and affirm that there really is something great about Christianity.